Tons of tasty new recipes at your fingertips with Rachel Ray Every Day Magazine! 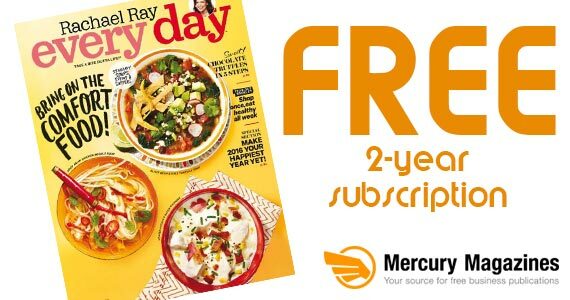 Right now you can sign up for a free 2-year subscription through Mercury Magazines. How cool is that?! It’s got all you need on 30-Minute Meals, recipes, menu planners, party ideas and more. Click through and enter your shipping info to start your subscription today!